What is a North Carolina Rental Application? North Carolina Rental Application: What Is It? 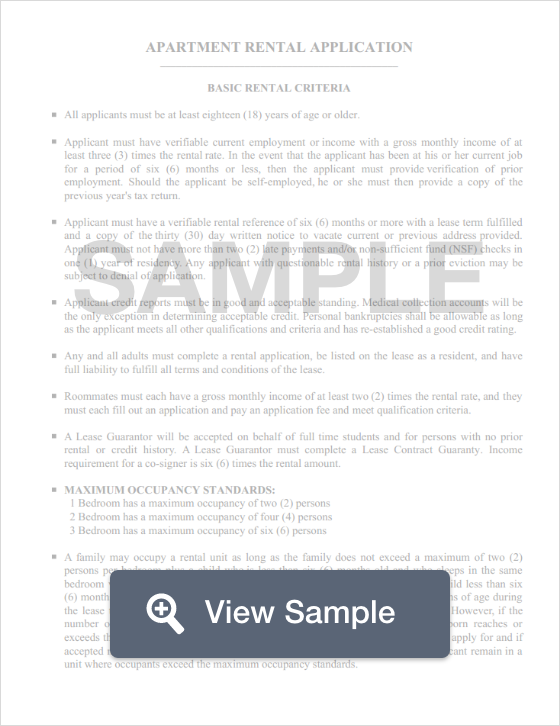 A rental application is a legal document that landlords will use to screen incoming applicants to ensure that they are qualified to rent out the apartment. Landlords generally like to see that a tenant make between two and three times the rent, good credit, and doesn’t have a history of frequent bankruptcies and evictions. A rental application gives landlords an in-depth view over who their next potential tenant is. Additionally, these documents must conform to federal fair housing laws which prevent housing discrimination. According to state law, landlords may not demand more than one and one-half month’s rent for a security deposit on a one month lease. On longer-term leases (longer than one month), the landlord may request two month’s rent. If a tenant has pets, the landlord is legally permitted to request an additional non-refundable deposit. When the tenant moves out, the landlord must return the deposit within 30 days.